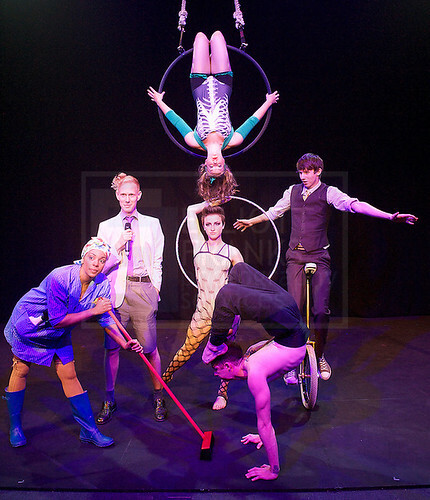 May 2013, I was selected to perform in the first Heat of Circus Maximus, the UK’s first ever circus competition, being staged as part of the Udderbelly’s summer festival, and produced in collaboration with the Circus Space, London. In preparation for the event, we were all invited to take part in the official photo shoot with the amazing Matilda Temperley. The Evening Standard also came down to Hoxton square to shoot the future contestants and announce their names in a special feature. 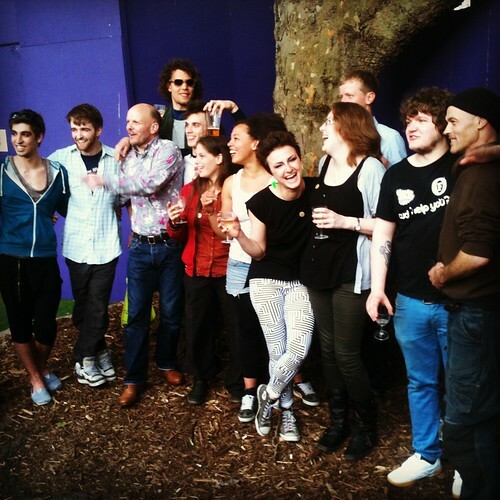 A week later, some of the UK’s finest circus talents and I made our way into the iconic Purple Cow, on the Southbank, to start rehearsals for the first Heat of Circus Maximus. I was lucky to share the stage with another 5 exceptionally talented performers, who were an absolute pleasure to work with. Introducing the acts and keeping the audience entertained was Christopher Green, a great host and performer, who was both hilarious and charming throughout the shows. 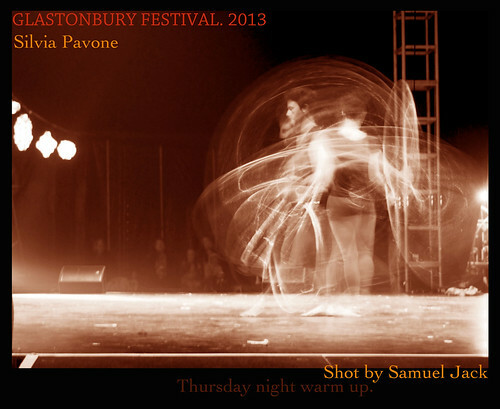 First on to the stage was Sam Goodburn, who performed a dynamic juggling and unicycling act. “Goodburn is the only person ever to become both British Freestyle Unicycle and British Young Juggler of the Year”. 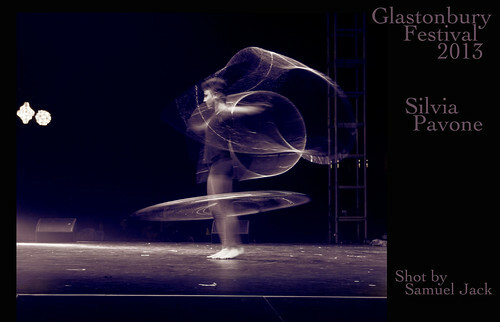 Second on was a revamped, reworked version of my ‘Atma’ hula hoop act, that got very good reviews from the general press. The 4th act was Alcina Mendes or Maria the Cleaner, whose act was an infusion between clown, physical theatre and trapeze. 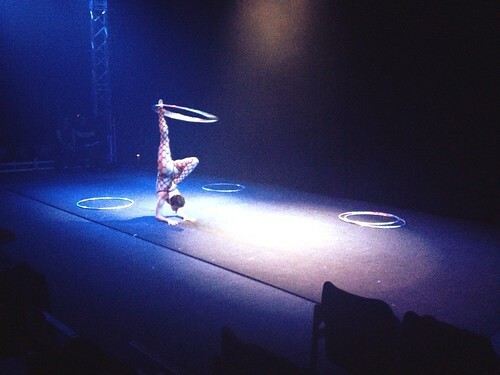 The final act of the night was Gemma Creasey on the aerial hoop. 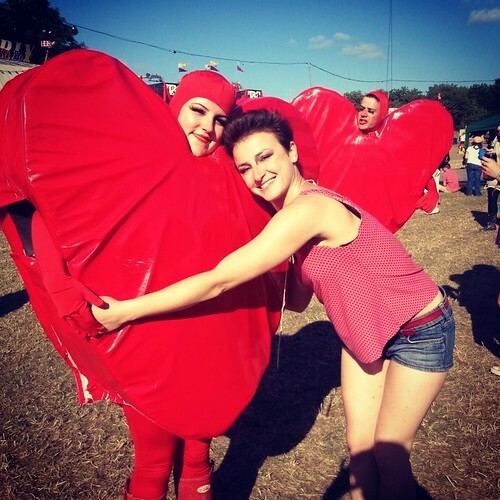 “Creasey is very talented, flying effortlessly through the air above the audience”. 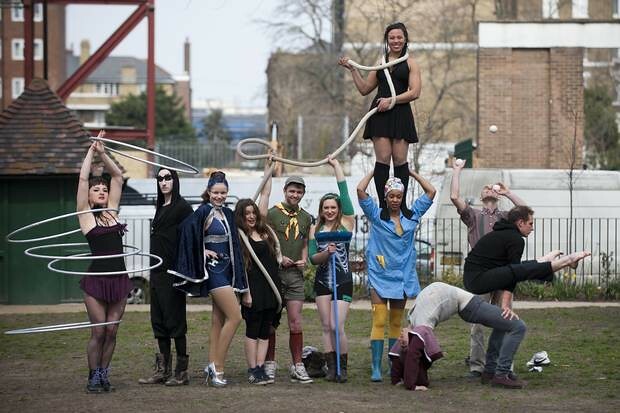 The audience were given the power to decide who should go through to the finals of Circus Maximus and have a chance to win £5000 and the opportunity to create a new show with the Udderbelly. Much to my surprise, I won all 4 nights of my Heat and got through to the finals. 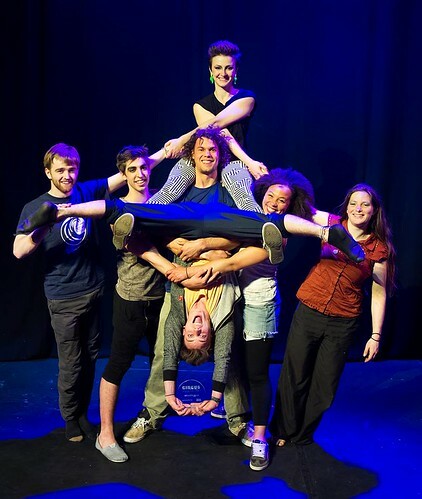 Together with the other finalists from the following 4 Heats (Ben Brown, Thomas Ball, Louis and Beren and Collectif and Then), we created an ensemble show, directed by Struan Leslie, Head of Movement at the Royal Shakespeare Company. 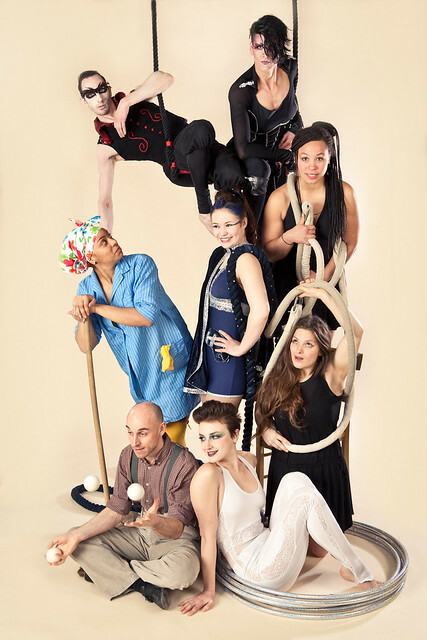 This was a delightful process where the pleasure of creating circus-theatre always prevailed the competitive element of the event. 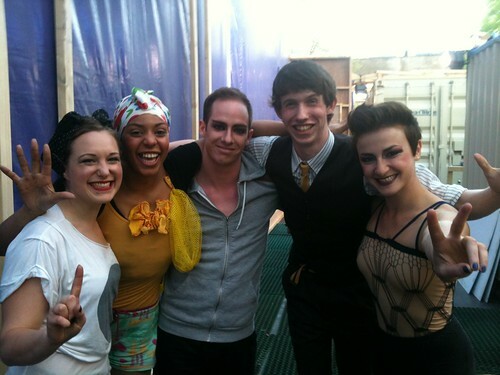 Everyone was always friendly and supportive throughout the rehearsal peiod and the actual shows. 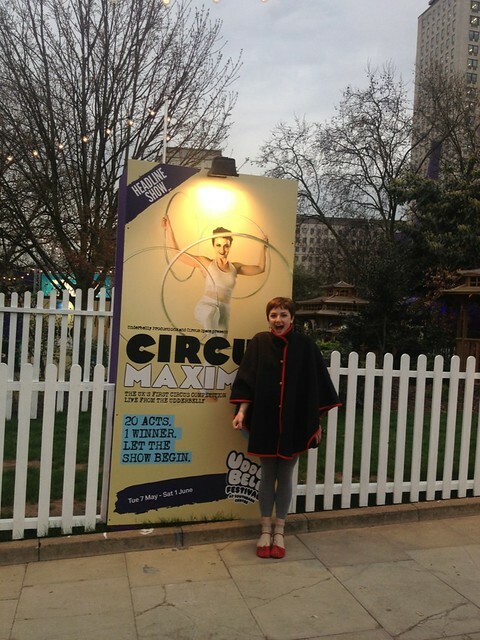 A jury of experts was finally given the power to choose the winner of the first Circus Maximus UK… Louis and Beren won the £5000 to make their show, but we all were winners really, for many different reasons. Many thanks to all of you, wonderful performers who made it such a fun exerience, and to Circus Space and the Udderbelly for making it happen. 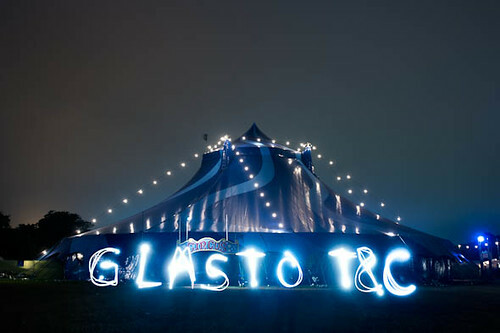 An even bigger, even better Circus Big Top was my home for a week at Glastonbury Festival 2013. Once again, it was an absolute pleasure to share the stage with so many incredibly talented performers, coming from all over the world. 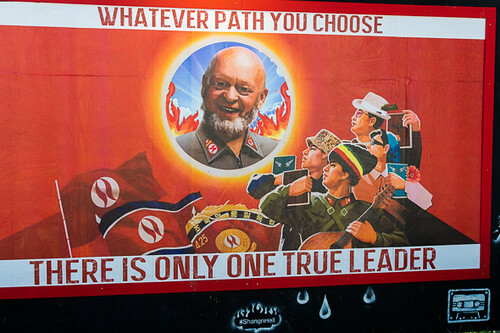 In fact, thanks also to what was probably the warmest English summer in years, this was definitely the best Glastonbury of my life.. for now! A million thanks to Jade and Shaun Dunbar for making it happen. You guys rock!